Dr. Shekhar Agarwal is amongst the best known knee, hip and joint replacement surgeons in Delhi, India, and is Chief Surgeon and Head of Joint Replacement Surgery at the Delhi Institute of Trauma and Orthopaedics(DITO) at Sant Parmanand Hospital in Delhi. With close to three decades of experience under his belt, he has received several accolades and international recognition for his expertise in knee replacement, hip replacement and joint replacement surgery. He has earned a stellar reputation for providing exemplary patient care including surgical and non-surgical procedures with absolute precision, and has performed joint replacement surgery on hundreds of patients with miraculous results. In addition to his surgical prowess, Dr Shekhar Agarwal regularly visits renown medical colleges to teach basic and advance courses on knee, hip and joint replacement. He has delivered more than 200 lectures in India and abroad, and has been accredited with a post graduate teacher of Orthopedic Surgery by the National Board of Examinations and Visiting Professor of Orthopedic Surgery at The Tamil Nadu Dr. M.G.R. Medical University. As a researcher, he has published more than 43 articles in peer-reviewed national and international medical Journals. Dr. Shekhar is Founder Member and Scientific Chairman, Indian Society of Hip and Knee Surgeons (ISHKS) and Member of Indian Orthopaedic Association, Association of Spine Surgeons of India. Are there any restrictions after Hip Replacement Surgery? Can both knees be replaced? What happens when I go home after Hip Replacement Surgery? 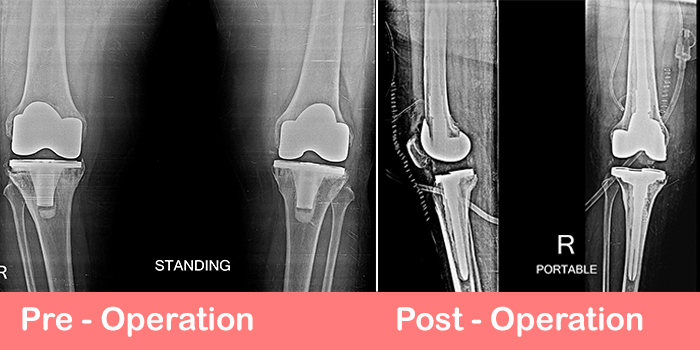 How should I prepare myself for Total Knee Replacement Surgery? What are the types of Total Hip Replacement? Dr. Shekhar Agarwal is no less than a godsend for patients of bones and joints. He is not onle a proficient doctor, but also a very kind gentleman. My hearty thanks to such a competent doctor and wonderful person.I also admire his entire team of doctors and nurses for their excellent work.